The year’s drawing to an end, which means you don’t have much time left to visit these sizzling hot new San Diego restaurants. Actually, they’ll all be open next year, too, but you don’t want to be late to the party, do you? 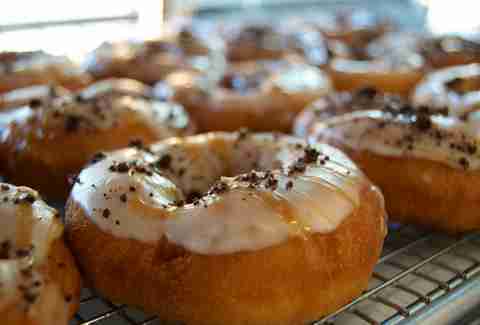 Plus, there’s no time like the present for a restaurant-equipped movie theater that makes its own donuts. Venture inside Sundara in OB on the weekends from 8am-2pm and you definitely won’t find a curry dish anywhere in sight. 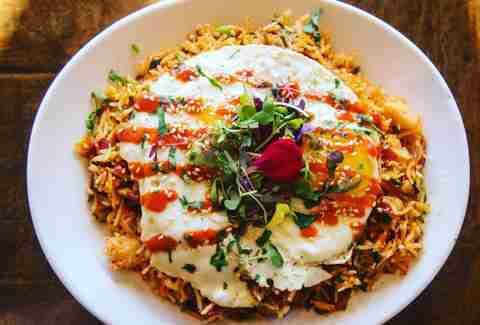 Jake & Eggs is a pop-up breakfast spot slinging early morning fare like biscuits covered in sausage and thyme gravy, sweet potato hash with poached eggs, squash, and fire roasted poblano, or the kimchi fried rice in this picture. Get there early before they sell out, or if can’t manage to drag yourself out of bed at that hour, order online and they’ll deliver. If it’s after 5pm, then why aren’t you at East Village’s newest rooftop bar? 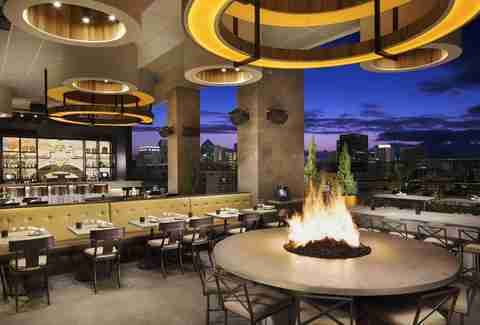 The Nolen is perched atop the 14th floor of the Courtyard by Marriott in Gaslamp, but you can skip the hotel entrance and come in through their private entrance on 6th. San Diegans love drinking with a view, and you can see everything from downtown to Point Loma from this spot. Behind the bar there’s a rotating selection of cocktails barrel aged for a minimum of two months in American oak barrels, plus cocktails on draft, and ‘Hoptails’ made with (you guessed it) beer. The spirit forward cocktail selection features a little bit of everything from vintage beverages like the old fashioned and daiquiris, to their own creations like the Shirley Temple of Doom: a mix of mezcal, tequila, absinthe, grenadine, lemon, and soda. Once you have a cocktail in hand there is plenty to nibble on including some fancy Crispy Tots with chili mezcal salt and house sauce, a selection of flatbreads, and more small bites. If you ever wanted to take an SD brewery tour but didn’t want to drive all over the city to do it, then The Brew Project is the perfect one stop shop for you. Repping that hometown craft beer pride, their taps are pouring only local brews, and the same goes for the selection from their bottle shop. But it’s not all about the beer. You won’t want to miss sandwiches like the Cali pulled pork with caramelized onions and roasted tomatoes, available with a quintet of house sauces form peach mole BBQ to avocado cilantro. You also can’t leave without ordering their carne asada fries, and without grab something from the bottle shop on your way out. When you order food, carry out brews come at a 10% discount. 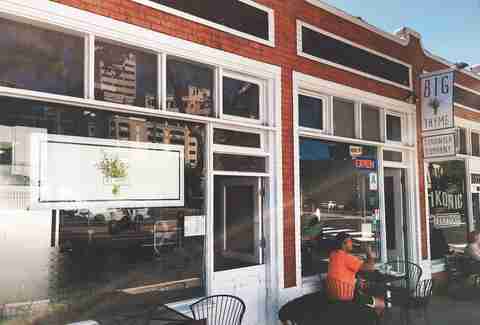 The guys from Kettner Exchange and company are now in the donut business with the opening of the Devil’s Dozen. Executive chef Brian Redzikowski and pastry chef Brandi Reynolds are baking up rotating seasonal flavors like Mexican chocolate glazed, churro bites, and Madagascar vanilla bean. The space is right next door to Kettner and shares the same gorgeous views of the bay. Like any good donut shop they’re open early: 7am during the week, at 8am on the weekend, closing when they’re sold out. If you’re not a morning person (entirely possible since you live here) you can always pre-order to make sure you don’t miss out. If you want to play the ponies without going all the way to the track, then place your bets downtown at Striders. 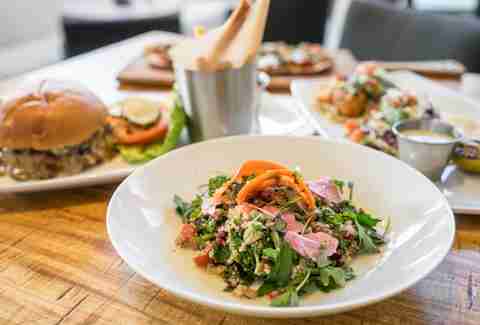 On the bottom floor you’ll find chill restaurant serving up crispy risotto balls, pork belly-topped burgers, and roast chicken with mascarpone mashed potatoes. 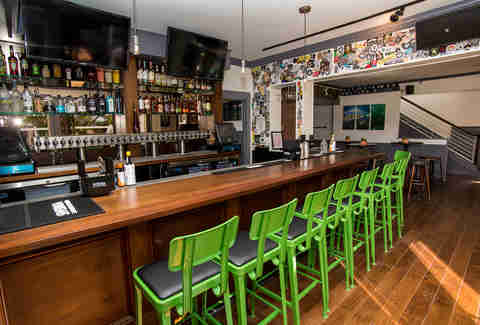 Upstairs, meanwhile, you’ll find a Vegas-style Turf Club Lounge. You can catch just about any televised sporting event and place your bets on races at major tracks like Del Mar, Gulfstream Park, Keeneland, and even some international races. 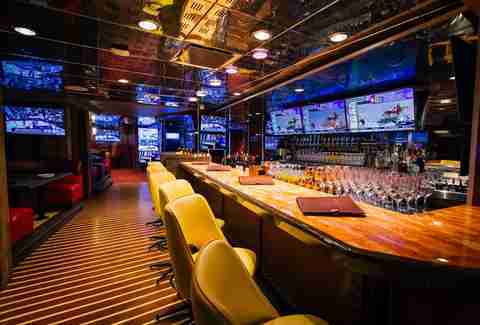 There are 150 screens plus a 15ft TV wall, so it’s a safe bet you won’t have an obstructed view. A Hawaiian-style restaurant named for the father of modern day surfing has made its way to the mainland. In the spirit of its namesake, Duke’s La Jolla is adorned with surfboards on loan from pro surfing legends, shapers, and collectors. 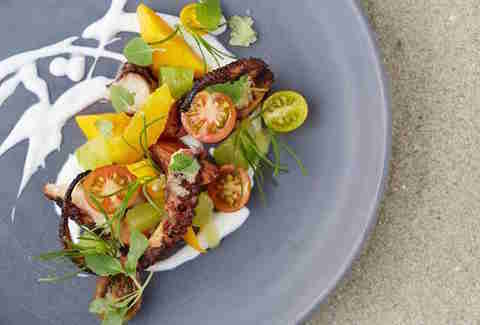 The food is a mix of Hawaiian and Californian styles with signature dishes like Tahitian octopus cooked on a wood grill with smoked papaya, cucumber, lime, and coconut milk. If you remember dining at Top of the Cove, which occupied the space years ago, then you’ll recognize the incredible views of La Jolla Cove from Duke’s patio. 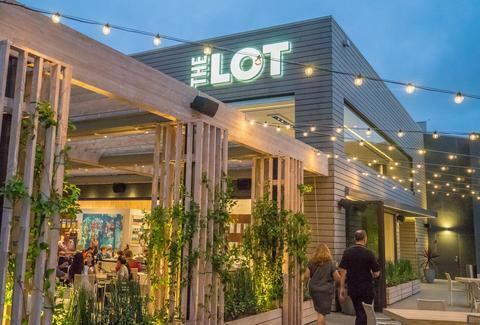 Taking dinner and a movie to the next level, The LOT makes date night easy. There are seven luxury auditoriums where you can kick back in oversized reclining seats while you watch the latest films and classic throwbacks. They have all the usual theater snacks, but no buttered popcorn can compare to charred shishito peppers, flatbreads, and house donuts with assorted dipping sauce. Even if you’re not a cinephile, they have a full restaurant (and full bar!) with a sit down menu available for all-day long. A welcoming new sandwich shop with a penchant for herb-based wordplay, Big Thyme’s sandwiches like their So Cal cheesesteak with tomato relish and garlic thyme aioli. For you non-carnivores, they’re plenty deep on veg options like the Perfected Chickpea sandwich with coconut chipotle sauce. Don’t leave without ordering the kombucha float, sporting raspberries, pistachios, cocoa nibs, and bee pollen. Sara Norris is a writer and photographer who could seriously use a donut right about now. Follow her on Instagram @saraknorris.